[ndlr] Hommage unamine de la presse vietnamienne après le décès à Ho Chi Minh-Ville du musicologue Trần Văn Khê à l’âge de 94 ans. Rappel biographique publié avec l’accord de sa famille. 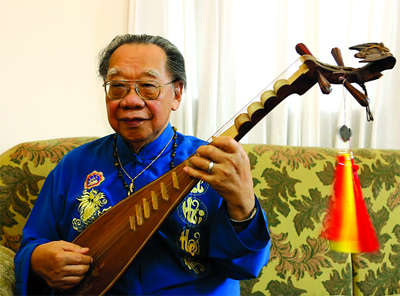 Trần Văn Khê, the eminent ethnomusicologist who revived and preserved Vietnamese traditional music, died on 24 June 2015 in Ho Chi Minh City (Viet Nam). With a formidable body of work including research, teaching and performance, this tireless steward of the arts has left Viet Nam and the world a precious and enduring legacy. A native son of Mỹ Tho, South Viet Nam, Trần Văn Khê first pursued medical studies in Ha Noi, then political science (international relations) in France before devoting himself to musicology, his life long passion. His Ph.D. dissertation, completed with honors at the Sorbonne in 1958 launched a uniquely distinguished career in Vietnamese traditional music. Conferred a professorship at his alma mater in 1967 the musicologist devoted his life to the studies of world music and the revival of his native Viet Nam’s oral music traditions. At the National Center for Scientific Research (CNRS) in Paris, where he worked for almost 30 years Dr. Trần Văn Khê focused not only on Vietnamese traditional music but also on comparative studies of musical instruments, music theory and languages of Asian countries. His expertise was shared at nearly 200 international conferences across the world and in close to 200 writings published in many languages, notably in “Le Courrier de l’UNESCO”. With regard to Viet Nam, on the strength of more than 600 hours of recorded music and conversations with performance masters, Trần Văn Khê was the first to produce recordings of Vietnamese traditional (folk and ceremonial) music, an art which, until then, was considered almost lost. He also revived ancient music forms such as the folkloric theatre Chèo, the professional singing form Ca Trù, the alternative singing form Quan Họ, Southern Vietnamese “simple folks’ ” music, and Vietnamese Buddhist liturgical music. The professor also codified music for Vietnamese traditional string instruments, in particular the Đàn Tranh (Vietnamese zither). His stature in the world of ethnomusicology was demonstrated by his membership in the prestigious International Musicological Society, the French and the American Societies for Ethnomusicology, the Society for Asian Music, UNESCO’s International Music Council and the International Council for Traditional Music (he was Vice President, and later made an honorary member for life of these two councils). In addition to research activities Professor Trần Văn Khê taught ethnomusicology for nearly three decades at the Center for Oriental Music Studies in Paris (which he established in 1959) as well as at the Paris-Sorbonne, where he supervised and mentored doctoral candidates. He was a visiting professor, inter alia, at the Liszt Academy of Music (Budapest), the University of California at Los Angeles, the University of Hawai (Manoa), the University of Western Australia (Perth), the University of the Philippines (Manila), and the National Institute of Music of Algeria. He frequently lectured on Asian music and its methodology at institutions of higher learning and research ranging from the Tchaikovsky Conservatory (Moscow) to the Central Conservatory of Beijing and the National Center for the Performing Arts, Bombay (India). To his fellow Vietnamese his most remarkable achievements remain the preservation and promotion of Vietnamese traditional music. During his many research trips to Viet Nam while residing in France and particularly after his return home in 2006, Trần Văn Khê was known for his drive in building public awareness of Viet Nam’s cultural heritage, particularly among Vietnamese youth. Greatly served by his unique talent in seamlessly combining scholarly erudition with lively performance skills, “Thầy Khê” (“Teacher Khê”) as the public affectionately calls him, was a true storyteller who mesmerized young and old, musician and non-musician, Vietnamese and non-Vietnamese alike. His outreach and impact were amplified through his frequent appearances on television and radio both internationally (NHK Japan, Tehran Radio and Television, BBC Radio, France Culture, Quebec Radio and Television) and at home. 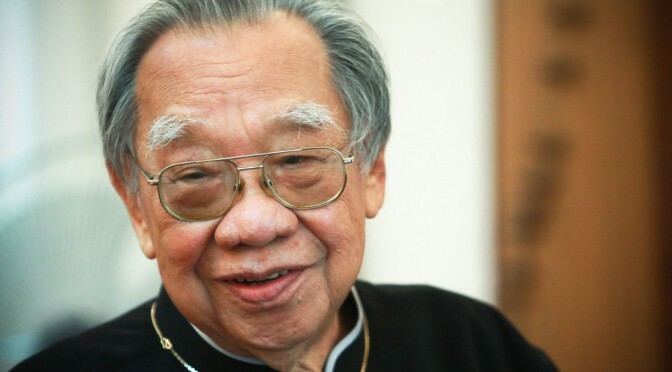 Among the many honors Trần Văn Khê received were the Grand Prix of the French Academy of Records (1960 & 1970); Doctor Honoris Causa, Ottawa University (1975); UNESCO IMC Award (1981); Officier de l’Ordre des Arts et des Lettres, France (1991); Corresponding member of the European Academy of Sciences, Arts and Letters (1993); the Medal of Labor – First Class, S.R. Viet Nam (1999); Chevalier de l’Ordre des Palmes Académiques, France (1999); and the Phan Chau Trinh Award, Viet Nam (2011). Trần Văn Khê’s legacy will live through the work of many, in particular that of his eldest son, Dr. Trần Quang Hải, also an ethnomusicologist and the family’s fifth generation musician./. The family of Trần Văn Khê. Giáo sư Trần Văn Khê qua đời, BBC (viet), 24/06/2015. Giáo sư Trần Văn Khê qua đời, Tuoi Tre, 24/06/2015. Giáo sư Trần Văn Khê qua đời, VN Express, 24/06/2015. GS Trần Văn Khê qua đời, VietNamNet, 24/06/2015. GS Trần Văn Khê qua đời tại TP.HCM, thọ 94 tuổi, RFA, 24/06/2015. GS-TS Trần Văn Khê từ trần, Nguoi Lao Dong, 24/06/2015. 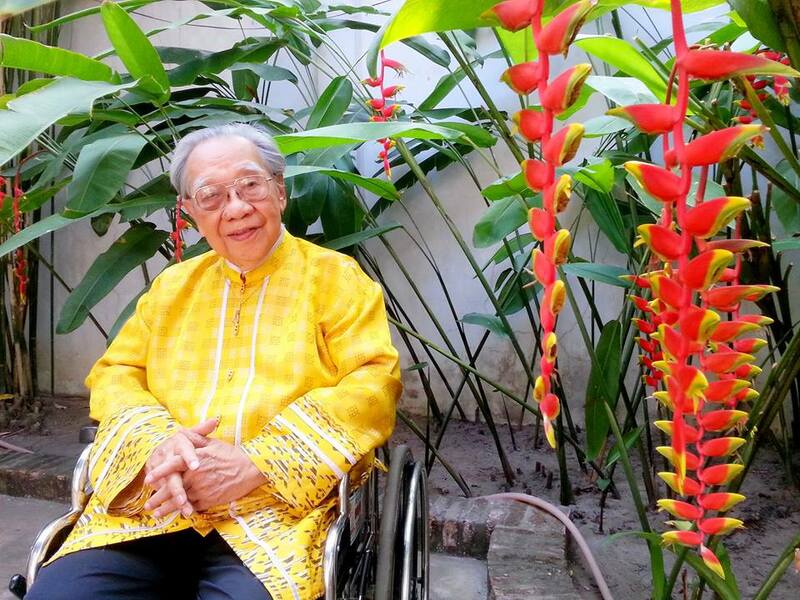 Veteran musicologist Tran Van Khe dies at 94, Vietnam News, 24/06/2015. Hồi ký Trần Văn Khê 1: kỳ 1 Thơ ấu vào đời, Tuoi Tre, 24/06/2015.